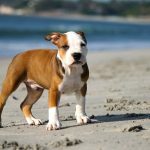 If you have a new dog, you may not know much information such as his parents as well as genetic lineage. In fact, he doesn’t belong to any one breed. That’s why many owners try to identify the breeds in their dogs. It’s best to look at closely your dog’s morphological and behavioural characteristics. By this way, you can determine the likely cross of breed your dog comes. Now, check out this article for detailed information about each breed’s characteristics. There are three main groups of dog’s heads, including Dolichocephalic (long headed dog), Mesocephalic (medium sized heads), and Brachycephalic (wide-skulled dogs). Sometimes, a dog can be between the two abovementioned groups. The most popular group is the Mesocephalic group such as the Labrador, Australian Shepherd, Malinois, and so on. There are many different shapes of dog’s ears. However, they are divided into three main groups. They include a floppy or drop ears, prick erect ears, and semi-pricked or cocked ears. There is a wide range of textures as well as the length of dog’s coats. 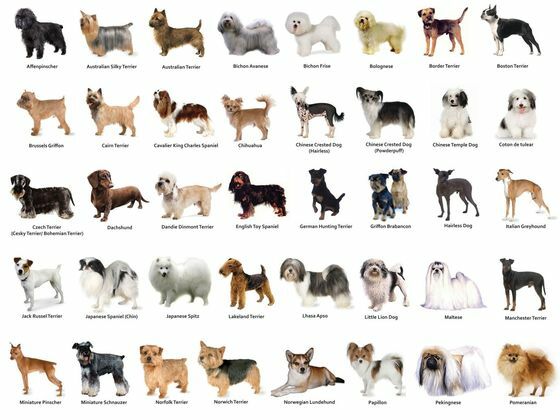 They include short hair (as The Great Dane orBeagle), wiry (as the Jack Russell Terrier), long hair (as Bouvier des Flandres, Collie…), and curly hair (as Cockapoo and Labradoodle). Your dog’s coats also are available in a variety of patterns. They include bi-coloured and spotted pattern, merle or dappling, the tri-colour pattern, and a beautiful array of colours. Certain breeds are related to a particular character trait, aptitude or temperament. That’s why you can consider your dog’s reaction as well as his behaviours in different situations. Each breed has a lot of appearance and behaviour. All breeds exist both sides of a spectrum. If you have a mixed dog breed, he will come with a special look or behaviour. Their parents are of different breeds. 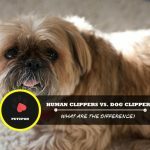 Here is an easy way to determine the possible breeds. Check out to quickly determine the type of dominant breed. This breed comes with all features of the typical traits of the Beauceron. They have black and rust colour. They come with a long muzzle and a short fur. In addition, you can’t ignore their beautiful blue eyes as well as the erect, pointed, triangular or prick ears. This mixed breed also comes with a double dewclaw on the hind legs. These dogs are medium sizes. They come with a few characteristics of certain hunting dogs as the Spaniel. This breed has fairly short and dropping ears, slightly almond-shaped eyes, triangular, and mid-length fur. For Spaniel, it doesn’t commonly appear with the all over black colour and the chest with slightly white patching on. The mix of the breeds with a Labrador retriever comes with the long shaped muzzle. This dog has the characteristics of a hunting dog like the Spaniel. In this case, your dog can be a Spaniel type cross-breed. This dog type comes with floppy ears, eyebrows and mustaches, mid-length harsh fur, and a long muzzle. They can suggest a Griffon Korthals. But, their large proportions can come with a large sized dog breed. If the dog comes with an all-white coat, it will be hard to determine the second breed. The Bichon fries normally comes with all white coat, silky and slightly curly hair, the mid-length, the droopy ears, the black round eyes, and a fairly rectilinear head. These characteristics are more popular in a Bichon fries than a large Poodle. A cross with terrier or shepherd actually comes with the black and rust coloured coat, the medium sized body, lower legs, fawn on the head, a barely defined stop, and the long muzzle. But, a terrier normally has the short fur, pointed ears, the eyebrows, and whiskers, as well as the dark outer edge of the eyelids. Their characteristics include the long muzzle, the fawn coloured coat, the medium body size, the neck ruff, and the short-to-mid-length fur. Especially, these dogs can be able to put their heads on the table. All of them are suggestions for a cross with some types of Shepherd dog. If you have a mixed dog of a German shepherd and a Collie, he will represent 50/50 balance characteristics of both these breeds. You can determine the Jack Russell through their white coat with patches of black, erect ears, fawn and rust head, the straight upright tail, tail with harsh fur, and small height. In addition, they are in medium size. In some case, you can identify the other dog breed without investigating further. The Labrador has a black coat with slightly white patching under their chest. 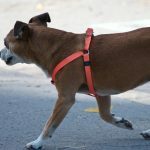 In specific cases, we have a few criteria for identifying the other breed without investigating other dogs. You need information about the size at the withers, the type of tail, and the breadth of the shoulder. They are all helpful. All characteristics of the Labrador retriever include the floppy ears, the round head, and the yellow coat. But, the Husky typically comes with the black eyelids and the distinctive blue eyes. This morphological of the Siberian husky and the yellow Labrador is likely to other dog breed types. The fact is that each dog has their own unique DNA. DNA test result can show you the breed your dog is made up of. You can determine exactly the breed mix his DNA is made up of. In addition, you can know the suitable kind of exercise routines, personality traits, and behaviours for your dog. It also allows you to determine the most of your dog’s training techniques. Plus, you can get your dog’s illnesses and health problems in order to prepare for his future illnesses. This test is very useful while you just need to wait for results within 2-3 weeks. 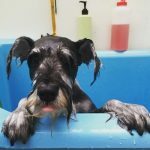 Dirty Dog: Will Grooming And Washing Be Pleasure Or Nightmare? 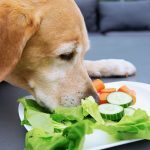 what are the nutritional requirements for a dog?